GWCT News & Advisory: RSPB celebration? There are three1 reported hen harrier nests in England this year – this is described as a “glimmer of hope” by the RSPB yesterday. Could this be a significant understatement? Are they being a bit modest? After all, the BBC were busy reporting the imminent extinction of hen harriers only 10 months ago; now we have three nests in England. I would call that a cause for celebration. The absence of hen harriers in England has long been attributed to persecution, something the GWCT first published in 1998. Indeed, persecution was still seen as the biggest cause of absence, by some, last year. @AndrewGilruth @SteveOrmerod Pairs have disappeared all across the Region-persecution-now year round is the biggest cause. Yet, are things changing? I believe they are. If persecution was the biggest cause of the recent absence – is persecution coming to an end? The most recent bird crime figures support that view. The RSPB’s glossy report indicates that incidents reported2 to them have fallen to an all-time low. It is easy to be modest, but I would call that a cause for celebration too. Can we see further evidence of this change at Langholm on the Scottish border? On the moor this year we3 have seen an increase in hen harriers. As of mid-May we have six nesting females with four males in attendance. So what? If some of these birds hunt for food in England (their nests are some 10 miles from the English border) – could that only happen if persecution has ceased? Will this pave the way for the biggest opportunity to celebrate this year? 1 Three reported nests. Two on the United Utilities Bowland Estate in Lancashire (one pair is currently raising chicks, the other the female is sitting on eggs), and a third pair nesting at another location in England. 2 Birdcrime 2012 – Appendix 1 (p53) shows incidents reported to the RSPB have fallen from 632 in 2007 to 442 in 2012. 3 Langholm Moor Demonstration Project is a partnership between Buccleuch Estates, Scottish Natural Heritage, Game & Wildlife Conservation Trust, Royal Society for the Protection of Birds and Natural England. 4 In August 2012 Defra officials established the Hen Harrier Sub-Group of the Uplands Stakeholder Forum including representatives from Natural England, the Moorland Association, the National Gamekeepers’ Organisation, the Game & Wildlife Conservation Trust, the National Park Authority and the RSPB. 5 Reported in Keeping the Balance – the official magazine of the National Gamekeepers’ Organisation. Have just read the SOC's June 2014 edition of Scottish Birds. It includes a very interesting paper by R L McMillan entitled ‘Hen Harriers on Skye, 2000-2012: Nest Failures & Predation’. Of 88 breeding attempts over the period, there were 47 nest failures with predation cited as the most likely cause, and 65% of the failures were attributed to foxes (nest camera evidence - NB not all nests monitored by such devices). In consequence, in 2013, only 3 Hen Harrier nests were found in the Skye study area, (down from 9-10 in 2010 & 11). This was the lowest number recorded since the study commenced. 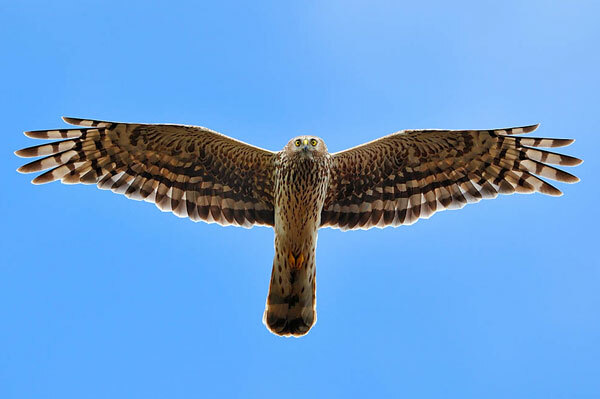 Clearly the decline of Hen Harrier populations is a complex business with many possible factors involved – still, it is to be celebrated that for once, there is incontrovertible evidence about the cause of the nest failures and subsequent population decline. I'm not sure, but I don’t think that there are there many/any grouse moors on Skye. And equally good to hear of the continuing success story at Langholm Moor with up to 8 breeding attempts this season so far. They are obviously using a very effective set of treatments there - these should be rolled out across the UK, particularly in Skye, as it appears that the Hen Harrier is approaching extinction on the island, and all without the fanfare accorded to its equally imperilled English cousin.